Point of sale (POS) systems are the central hub of brick-and-mortar businesses. They process sales, manage inventory, store customer data, and more. The best POS systems simplify operations, make day-to-day management easier, and provide a sleek system to handle transactions. We evaluated free POS systems by ease of use and included features. Square (Best Overall) Free all-in-one POS that’s easy to use. Erply Startup retailers that want a Windows-based POS that can accomodate unlimited inventory items. Imonggo Square alternative for brick-and-mortar retailers that doesn’t require hardware purchase. Loyverse Restaurants that want ingredient tracking, kitchen display systems, or free loyalty program. 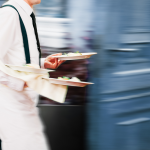 Floreant Restaurants that want table and bar tab management. eHopper Square alternative that doesn’t have built-in payment processing. Price and hardware requirements – Of course, the POS system has to be free to use. But we also looked at hardware requirements and any built-in processing fees. Ease of use – Since all employees and sometimes customers interact with the POS system, it has to be easy and intuitive to use. Inventory management – We looked at how many products each system can handle as well as features like low stock alerts, reordering automation, and ingredient-level tracking for restaurants. Customer relationship management – We looked at what customer relationship management (CRM) features are included, such as customer directories and loyalty programs. Ecommerce integrations – We looked at whether each POS system enables businesses to sell online in addition to in-person. Reporting capabilities – POS systems should provide insights into sales, customer, and employee management data. Customer support – POS providers should be available to assist business owners if something goes wrong. Based on the above criteria, Square is our top free POS system for small businesses. The interface is extremely sleek and easy to use, but still packed full of features to help businesses process payments and manage customer data. 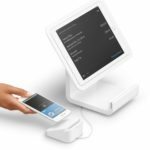 Square is also easy to set up and requires little to no hardware purchases, making it a terrific option for low-budget businesses that want a scalable solution. Square is the best free POS software for small businesses that are just getting started because it is free to use and extremely easy to set up. Square allows businesses to process payments, manage inventory, and store customer data. There is also no equipment required and comes with built-in payment processing to start accepting payments right away. Square POS has no monthly fee to use their service and provides users with a complimentary magstripe that works with any iOS or Android phone or tablet, saving users the cost of additional equipment purchases. Square also comes with built-in payment processing so businesses have an all-in-one solution. Square’s standard payment processing rate is a 2.75% transaction fee, which is competitive, but especially great for businesses that have a low average transaction. Square POS includes basic inventory management such as the ability to manually add items and adjust stock levels. Square’s standout features include a unique customer directory that automatically remembers customers by their payment method, and a very robust mobile POS app to manage your business on the go. With Square, you can download and use the POS app on multiple devices, whereas many free POS systems restrict you to one register. Square has built-in inventory and product management features. When it comes to ease of use, Square is a clear winner. Businesses can access Square from the website, or download Square apps on their phones and tablets to start using right away. The intuitive system means there’s virtually no learning curve. Sign in from any computer to handle your inventory from anywhere. Retailers can manually adjust stock, add item descriptions, and receive customized daily emails detailing stock levels. However, businesses cannot create purchase orders through Square, scan barcodes, transfer inventory, or search a detailed item library like they can with other options on our list. Square’s free POS includes the ability to create employee logins. More advanced features like setting different roles and permission levels, time tracking, and detailed employee sales insights are available for a fee of $5 per month for each employee. If you have a very small staff, this is an affordable option. But, if you have lots of employees, Square’s Employee Management software can easily become expensive. Square’s customer directory automatically sets up a profile for each payment card and tracks all transactions associated with that payment method. Square stores vital contact information and allows users to message shoppers directly through the platform or make notes in customer profiles for future visits. Square’s automatic tracking and data storage is a unique feature that makes tracking transactions and sending receipts super easy. Square offers a free ecommerce store, an advanced low-cost website option through Weebly, and partners with major ecommerce platforms like BigCommerce and WooCommerce. Square also has the best mobile POS app and software in the industry. Businesses can track inventory, sales, and manage their entire business right from their phone. This level of business management is rare for mobile POS apps and nonexistent in other free mobile POS systems. Square Dashboard provides real-time reports including average customer spend, repeat visits, top-selling categories, and gross sales that can be accessed from anywhere. Businesses can set up daily emails to receive easily digestible sale and customer data. However, Square’s reporting capability is limited to historical information about transactions and does not include more predictive analytics, like purchasing or traffic trends. Part of what makes Square a great fit for startup businesses is that it does not mandate specific hardware purchases. Square can run on any iPad, iPhone, or Android. Plus, Square comes with one free credit card reader. Square’s digital receipts mean that you don’t have to purchase a receipt printer. However, you can purchase additional hardware like iPad stands, additional card readers, and full countertop register systems. To read more about Square’s hardware offerings, check out our article on how to use Square to run your business. Square doesn’t have detailed inventory tracking like Loyverse, which has ingredient-level tracking that’s great for restaurants. While Square has a great free customer directory, other CRM features like loyalty programs and email marketing come with a fee. Square’s employee management functions, like payroll, also come with a monthly fee. With Square POS, you are also locked into using Square Payments for processing transactions, which is not ideal for businesses that have an average transaction over $20 or total monthly sales over $30,000. Overall, users love Square for its ease of use, built-in payment processing, and sleek design. The main drawback is that extra features come with monthly fees, which can add up quickly. Visit our Square POS Review Page for more information. To take advantage of all of Square’s free POS and business management features, the first step is to sign up for a free Square account on their website. Then, you can download the Square POS app and start using it right away. Visit Square to get started. Erply is the creator of powerful, popular enterprise-level business software that’s used by retail giants such as Birchbox and The Athlete’s Foot. Erply has a free POS app for small retailers and cafes. The free POS app is a great option for single location retailers with a large product catalog that want a Square alternative. Erply has a free POS app that is available for Windows, iPad, and Android. No additional hardware is required to use Erply. However, in order to process payments, you will need to integrate Erply with a payment provider. Erply works with Chase Merchant Services, Bank of America, Vantiv, Apple Pay, PayPal, and more. Aside from Square, Erply is one of the only app-based POS systems on our list. This means Erply is a good choice for businesses that want a cloud-based solution. However, unlike Square, Erply can function on Windows in addition to iOS and Android. Overall, Erply is a popular, free POS app for businesses that want to use Windows. Erply has an intuitive design that rivals Square. Erply is super easy to use. The free Erply is an app-based, simplified version of their popular enterprise-level POS system. It is packed with all of the essential features and uses Cloud Hybrid technology so it can still function offline. The touchscreen-based program has big icon buttons, pictures, and a colorful display that makes it intuitive to use. The free version of Erply has built-in inventory management, and even a stock replenishment feature based on designated low stock levels. The inventory software features includes extensive reports, purchase orders, a supplier database, multi-warehouse functionality, powerful import and export tools, and more. What sets Erply apart from some of the other free POS systems on our list is that it doesn’t have any item limits. Erply has a few built-in employee management features, such as the ability to create employee accounts, set up time clocks, run reports, and track sales commissions for individual employees. This are stand-out features because most of the POS on our list do not include employee management. With Erply, businesses can create customer loyalty cards. 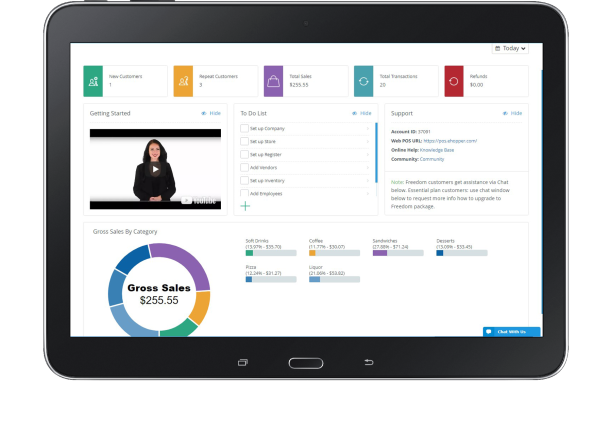 Erply also has a few unique features including built-in social media integrations and the ability to create customer-facing displays showcasing promotions. While these features aren’t nearly as robust as the CRM functionality you would find with a paid POS, they are considerable for a free POS system. Erply is designed for in-store sales. The free app does not have ecommerce capabilities. If you’re looking for a free ecommerce store in addition to in-person selling, look into Square. However, since the Erply app is available for smartphones, it’s a great option for mobile sales. Erply is cloud-based, so all reports are instant and up-to-date. Though the specifics are unclear, Erply boasts extensive reports on inventory, sales, and employees. Since the free POS is an app, you will have all of your data available in-the-go. 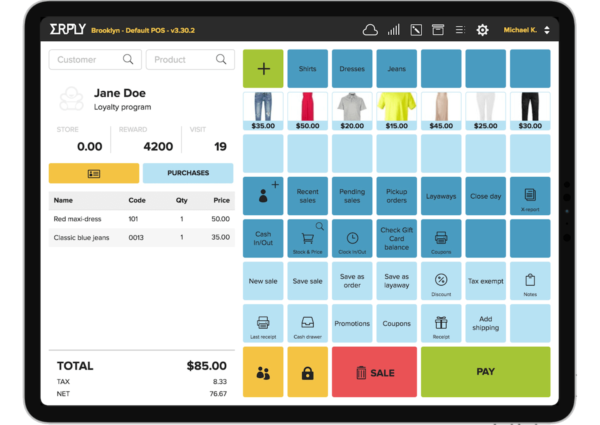 Erply POS is a program that can be downloaded and installed on any Windows, iPad, or Android device. So, as long as you have one of those systems, you do not need to purchase any hardware to use Erply POS. However, depending on what payment processing company you choose, you may need to buy card readers and/or receipt printers. The free version of Erply is not nearly as robust as the paid version, and much of the functionality is simplified for the app. In general, Erply does not have many integrations, meaning you can’t add on features that aren’t included in the software itself. Specifically, Erply is not a good fit for businesses that want to sell online, as most of the features are geared towards in-store selling. There aren’t too many reviews for Erply available. However, reviewers say that they like the functionality of the POS and the customization options available. Users also like that it can operate on Windows. Negative reviews say that customer service is extremely slow to respond to issues. Visit our Erply Review Page for more feedback from business owners. Erply is super easy to install and begin using right away. First, visit the Erply site. You can test the free POS from your browser before downloading for Windows, iPad, or Android. Visit Erply to get started. Imonggo is a free browser-based POS system, meaning you can use it on a computer, tablet, or smartphone. This flexibility means retailers don’t have to invest in any hardware to use Imonggo POS—it can be used on whatever computer, tablet, or phone you already have. Since there are no hardware requirements or compatibility issues, Imonggo is a good fit for retailers that want to save on hardware costs. Though there are paid options, the base Imonggo plan is free. Since it can operate on any device, no hardware purchases are necessary to use the POS. However, Imonggo is simply a POS—if you want to accept payments through the program, you will need to use the paid version ($30 per month) and use a third-party merchant services provider. Simplicity is the driving force behind Imonggo. Wherever possible, Imonggo streamlines and simplifies its free POS software functions to the basics while trying not to sacrifice the power of its feature set. As a result, it delivers a useful, free POS software solution that covers what you would expect to find and is easy for small businesses to adopt. Imonggo can be used on any device, or download the iPad app. Simplicity and ease of use is the driving philosophy behind Imonggo. Like Square and Loyverse, it is difficult to fault in this regard. However, where Square offers chunky features and a self-service knowledge base to help you get the best out of them, Imonggo takes the approach of limiting features to keep everything simple to use. Imonggo has a comprehensive inventory management system that rivals Loyverse. It includes inventory import via a CSV file, assigning multiple barcodes, transaction history, stock tracking, order management and reconciliation, physical count support, product tagging, and item photos and descriptions. Imonggo can manage up to 1,000 products with the free version. Imonggo has a feature set similar to Loyverse and allows you to set roles and permissions, control access to features and data, and keep track of employee performance. Imonggo has a simple CRM package that records customer contact data and purchasing history. Like Square, you can also create a simple customer rewards program. Unlike Square, one user can run email marketing without incurring extra costs. Imonggo doesn’t have built-in ecommerce features, but it does have an integration called POS-Sync that connects your in-store POS with your ecommerce account so that inventory matches up. However, this is kind of a clunky workaround, so businesses that plan on selling in-store and online should consider another POS solution, like Square. Imonggo does have a mobile app called Imonggo Express Lite, which lets businesses make sales on the go. Imonggo also has a separate Sales Dashboard mobile app to view sales by day, week, and month. Certainly nothing fancy, but a mobile option that covers the basics. Imonggo allows you to review a range of visual reports in a similar way to Loyverse, including top products; hourly, daily, and monthly sales; payments collected; and monthly profits. You can also analyze sales by tags assigned to products, compare the performances of sales at multiple branches, and check on the performance of salespeople. Overall, Imonggo is a pretty solid free POS option. It has a user-friendly interface, strong offline capabilities, and all the basic functions you need to manage a store. However, Imonggo is a very simplified POS that does not have great employee management features or ecommerce integrations. Also, Imonggo is limited in terms of payment processing—the only gateway it is compatible with is Authorize.net. There aren’t too many reviews available for Imonggo. However, those available are generally positive. Users like that the system is completely free, risk-free, and that the simple interface is fast and easy to use. Negative reviews cite limited ecommerce capabilities and payment options. Visit our Imonggo Review Page for more details. Imonggo POS can work on any device that is connected to the internet. You do not need to download or install anything. This means that as long as you already have a computer, tablet, or smartphone, you do not need to purchase any hardware to use the POS. However, Imonggo does not offer payment processing. You will need to use a separate merchant services provider, which may require purchasing card readers and/or a receipt printer. Imonggo is super easy to set up and use. First, visit their website and create a free account. Once your account is set up, you can use the free POS anytime and anywhere by visiting the Imonggo website and logging in to your account. Visit Imonggo to get started. Loyverse is a free Android and iOS POS app targeted towards cafes and restaurants. Loyverse has features that are rare on free POS systems, like ingredient-level inventory tracking, a kitchen display app, and a customer-facing display solution. Loyverse also has a free built-in loyalty program. These features make Loyverse a great free POS option for restaurants. Like the other POS systems on our list, Loyverse is completely free to use—even the kitchen display system and customer display apps. All that’s required from businesses are Android or Apple tablets to run the apps on. Comparable restaurant management suites would cost around $100 per month, making Loyverse an absolute steal. In addition to the ingredient level tracking, KDS app, and customer-facing app, Loyverse comes with features like customer messaging, reporting, analytics, and employee management. Loyverse also has a free loyalty program. Overall, Loyverse has a lot of handy features, especially for a free system. Loyverse has a free KDS app for restaurants. Loyverse is extremely intuitive and easy to use. Like Square, you can download the app and away you go. For anyone new to this kind of software, there is a suite of “How to” videos made available on their website that cover everything that you need to know. And if that’s not enough, their customer service team responds to chat and email inquiries usually within minutes. The best evidence of Loyverse’s ease of use is the virtually 100% of five/five customer reviews. 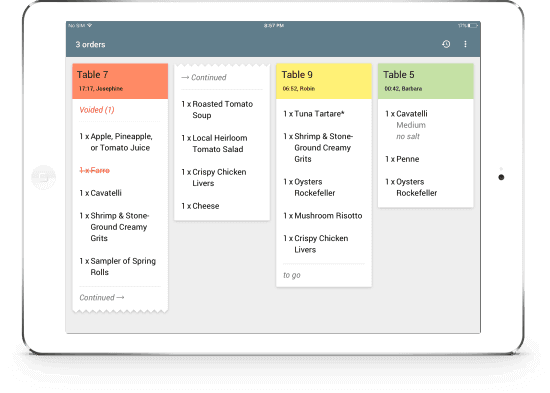 Loyverse has great inventory management, including ingredient-level tracking. Businesses can add menu items and detail which ingredients are used in creating them, and manage stock to a detailed level. Businesses can also import purchase orders, transfer stock between multiple locations, and see which items are performing best or moving slow. Loyverse also offers an Advanced Inventory Management add-on for $25 per month, which offers inventory valuation and allows businesses to send purchase orders directly to suppliers. Loyverse allows you to set roles and permissions for each employee, control their access to features and data, and keep track of their performance. For example, you can analyze workload per employee per hour and view sales data to schedule your staff efficiently. Loyverse is actually a combination of “loyalty” and “universe,” which is a nod to the program’s built-in points-based loyalty program. Loyverse has a comprehensive CRM package that records customer data, buying behavior, and preferences. Loyverse also makes it easy to communicate promotional messages to loyal customers via email for free to encourage them to return. Most systems, including Square, charge a monthly fee for loyalty program features, but Loyverse offers this for free. Loyverse is naturally a mobile solution, as it is entirely app-based and runs on smartphones and tablets. However, Loyverse does not have ecommerce features or direct integration. So, if selling online is a huge part of your business, Loyverse is not a good option for your business, as syncing your online store with Loyverse will likely cause headaches down the road. Loyverse has a pretty robust suite of reports available, including sales reports, inventory reports, and tax reports. These are all downloadable via CSV files. If you upgrade to the Advanced Inventory Management ($25 per month), you can also view Inventory Valuation reports. The only downside is that Loyverse does not have a customizable drag-and-drop reporting dashboard like Square does. Loyverse POS can be downloaded onto any Apple or Android device, ideally a tablet. So, as long as you already have one of these products, no specific hardware purchases are necessary. Like Erply and Imonggo, Loyverse does not have built-in payment processing, so you may have to purchase card readers depending on your merchant services provider. Though Loyverse has tons of great features included, such as the loyalty program, KDS app, and customer-facing display. However, it does not have any integrations—if a feature isn’t available through the program, you’re plain out of luck. For this reason, Loyverse is not recommended for retailers that want an ecommerce site. But, since Loyverse is free, you can test for yourself to see if there are any missing features that you would need. Reviews for Loyverse are overwhelmingly positive, especially on the Apple app store. Businesses love that the program is free to use and packed full of features. Loyverse is also available in many different languages, which is a bonus. Reviewers also report that customer service is responsive and helpful. Visit our Loyverse Review Page for more feedback. Loyverse is very easy to set up. First, visit the Loyverse website to create your free account. You can then adjust settings and manage your business from the website. Next, download the Loyverse POS app on your Apple or Android device to start using it. Visit Loyverse to get started. 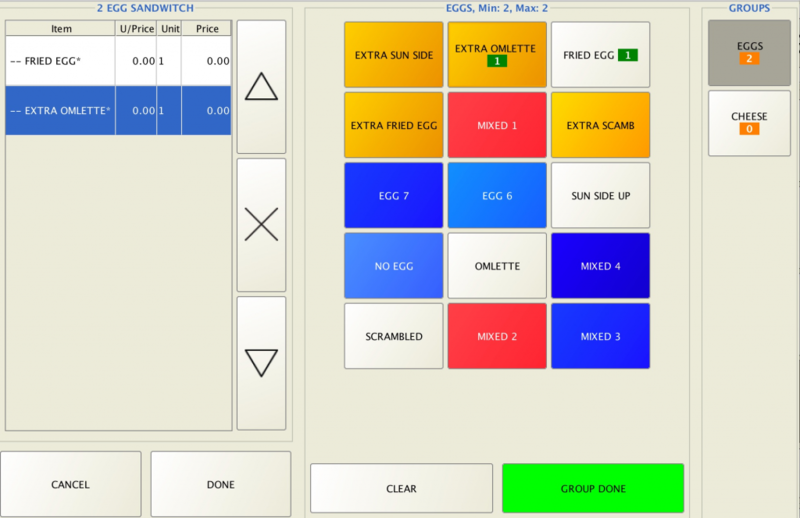 Floreant POS is an enterprise-grade, open-source POS application that is free to download. Floreant, a customizable software designed for restaurants and kiosks, has advanced features like bar tab management and table service, which are typically only found in paid POS systems. These features make Floreant a great option for full-service restaurants. Floreant is 100% free, and users can download the program right from the website. Floreant can work on any Windows, Mac, or Linux computer. Floreant can also operate on select tablets like Microsoft Surface. In order to accept credit cards, you will need a third-party merchant services account and an Authorize.net payment gateway. Pricing for accepting credit cards can vary greatly, depending on what provider you choose and how big your business is. Floreant has a ton of built-in features, and since it is open-source, you can add custom features if you use a programmer. Floreant works offline, and comes with table service features; kitchen display options; the ability to pre-authorize bar tabs; and the ability to create menus and order modifiers. There are extra plug-ins available, and there is a paid PRO version that has additional features included. Floreant has a basic, yet easy-to-navigate interface. Floreant is not a cloud-based system, which means that it functions a little differently than most of the other POS systems on our list. It will need to be downloaded and installed on each computer. The main pain point is in setting up your merchant services account and payment gateway. Between the POS, merchant services, and payment gateway, you are working with three different companies instead of just one when you use an all-inclusive POS like Square. One of the biggest drawbacks of Floreant is that there is no inventory management included in the free version. Since it is an open-source program, you can build your own inventory management features. Or, you can purchase an inventory management plug-in for $60. Floreant includes options to assign tips to certain employees. But, for other features like creating multiple user roles, you would need to upgrade to Floreant PRO ($19.99 per month). Floreant doesn’t include any options for payroll management. The free version of Floreant doesn’t really include any CRM features. However, since it’s an open-source program, you could potentially build your own. 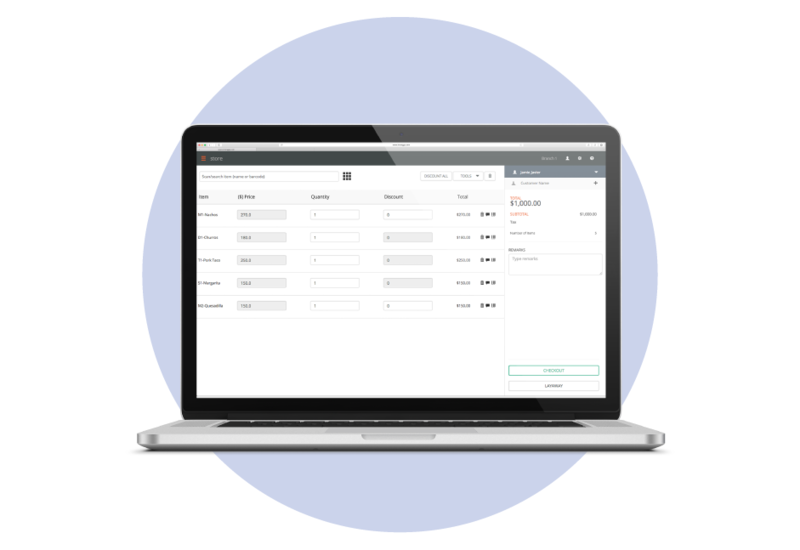 The PRO version of Floreant includes customer profiles, stored payments, and other CRM features. However, Floreant pales in comparison to other free POS systems like Square when it comes to CRM. Floreant supports tablets like Microsoft Surface and Dell Venue Pro. However, since Floreant needs to be downloaded, it doesn’t work on smartphones; it is really designed to operate in-store at a desktop register. Since Floreant is geared towards restaurants, it also does not have any ecommerce features. Floreant comes with many built-in reports, including sales summaries, sales analytics, productivity reports, hourly incomes, payroll, and gratuity reports. Businesses can connect Floreant to other reporting tools to generate more reports. Floreant is a good fit for restaurants, but is not ideal for traditional retailers who want mobile and ecommerce features. Floreant is also not cloud-based, which, depending on your personal preferences, is either a flaw or benefit. Many people view locally-stored systems as more secure. However, that means they lack flexibility to be accessed from other devices or receive automatic updates. There are not many reviews for Floreant available, but those that exist are generally positive. Reviewers say that Floreant has great customer support, and that they are always available to help. Of course, reviewers also like that Floreant is free, and those with technical know-how can customize it. Visit our Floreant Review Page for more information. Floreant is completely free to download and use, so businesses can get started right away, risk free. Visit Floreant to learn more and to download the POS. 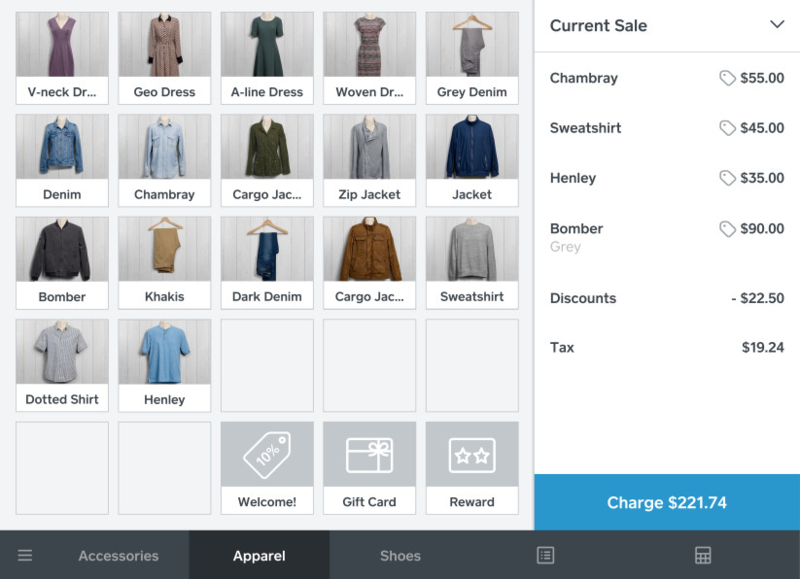 eHopper is a cloud-based POS that functions on Android, iOS, Windows, and Poynt. It’s unique because the free version of eHopper is identical to the paid version, with the exception that it cannot connect with a merchant services account. eHopper is a good Square alternative for businesses that are willing to sacrifice integrated payments for POS functionality. eHopper’s Essential package is free, and includes POS for one register. Ecommerce integrations are available for $99 per month, and loyalty apps are available for $29 per month. eHopper works on Android tablets, iPad, and Windows PC. Retailers can use their own hardware, or purchase through eHopper. eHopper offers touch screen POS systems for $650 to $999, receipt printers from $289 to $369, and cash drawers for around $100. eHopper Essential includes inventory management, order tracking, customer management, and other important retail features like the ability to assign taxes to products. eHopper also includes restaurant features like tips and tip management, order modifiers, and the ability to split payments. eHopper also includes reporting. eHopper isn’t as straightforward as Square, but overall is fairly easy to set up and start selling yourself. The biggest pain point is importing inventory items and setting pricing. With eHopper, you can enter the cost of an item, as well as the regular price and sales price so that retailers can calculate their margins. While a great tool, it prolongs the setup process. eHopper has a pretty advanced inventory management system. In addition to being able to calculate exact margins, eHopper has an inventory aging report, so businesses can see which items are moving quickly and which are staying on the shelves for too long. With eHopper, businesses can create employee profiles with unique roles and permissions, which is pretty rare for a free POS system. The roles themselves are not customizable, like with Imonggo and Loyverse, but eHopper’s employee management is more advanced than Erply. eHopper has basic CRM features like the ability to create customer profiles and assign them to specific transactions. These features are certainly better than nothing, but they don’t compare to Square’s automated customer directory features and tracking. eHopper has an ecommerce solution available for an additional $99 per month. While their ecommerce solution has positive reviews, it’s not a realistic price point for small businesses looking for free or low-cost solutions. However, eHopper’s mobile features are pretty good. The app is available on iOS, Windows, Android, and Poynt mobile solutions. However, keep in mind that the free version of eHopper doesn’t integrate with payment processing, so you will need a separate payment solution. If you want to actually accept payments over mobile, instead of just manage your business, Square is the better option. Though eHopper has a few fancy reports like the margin calculations and inventory aging, the regular sales reports are relatively basic. It offers overview sales reports, but no way to break those reports down by the hour to determine peak times. eHopper is device-agnostic and can operate on any Windows, Apple, Android, or Poynt hardware. If you already have a computer or POS hardware, you can use whatever you have. Additional hardware can also be purchased through eHopper, such as tablets, complete POS systems, barcode scanners, and receipt printers. The biggest drawback of eHopper is that the free Essential package does not integrate with any payment processing. When completing transactions, you will need to calculate the payment amount in eHopper, and then manually enter it into your payment processing device. This is obviously a huge drawback that adds extra steps to every transaction and creates ample opportunity for human error, which is why eHopper is the last POS on our list. The second biggest drawback is businesses that use the Essential plan do not have access to live customer support. Instead, they have access to training videos, a detailed knowledge base, and a community forum. So although eHopper has great features, it has two pretty big drawbacks. Reviews for eHopper are generally positive, but most are for the paid version. 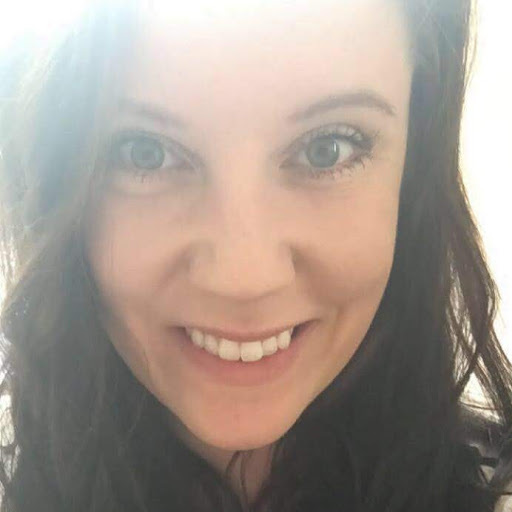 Businesses like that eHopper is easy to use, and those that pay for customer support say that the agents are very helpful. Negative reviews cite limited reporting capabilities and occasional system crashes. Visit our eHopper Review Page to learn more. eHopper has great features like margin tracking, inventory aging, designated employee roles, and CRM functions. It’s a great option for businesses that want these kinds of features at no cost, and are willing to sacrifice connected payments. Click here to create your free account. There are many free POS systems on the market. Some, like the ones on our list, are excellent options and can truly rival the features of a paid POS system. Plus, since they are free to use and do not require specific hardware, it’s easy to test out multiple POS systems before committing to one for your business. The best POS systems make it super easy to accept payments, manage inventory, and have basic CRM features. That is why Square is our top pick. Simply sign up for Square for free, and your free credit card reader will be mailed to you so you can start accepting payments right away. Get started for free today. Livepos is what we use in my multi location stores. It’s a reliable pos system. Helped a lot in making my business successful and to run smoothly. That’s a popular POS, but not if you’re looking for a free solution. Thanks for reading and commenting! I’ve been using livepos in my store and their real-time inventory is the best! Livepos is my point of sale in my store for a couple of years now. It’s easy to use with great features that are compatible in my store. Hi Sklyer.. thanks for dropping by, and always good to learn about real-life experiences of other POS systems. Recently I started using Vecino Cloud. It was very easy to setup and the service is great. Thanks for sharing your recommendation. Looks like a fresh entrant to the market and one to watch as it starts to grow its customer base and develops options to integrate with credit card processing solutions.